As another year comes to a close, we wanted to take a moment to reflect on just how amazing and valuable teachers are. There are so many negative stories and statistics out there about teacher pay, educator shortages and people leaving the profession. It’s high time we focused on the good examples of teachers working so incredibly hard to make a difference in the lives of children. So the next time you see a negative or disheartening statistic about the life of a teacher, try to remember one of these instead. It’s not an easy job, but it’s definitely one of the most impactful and rewarding! Take a look at our video that sums up the stats, too. 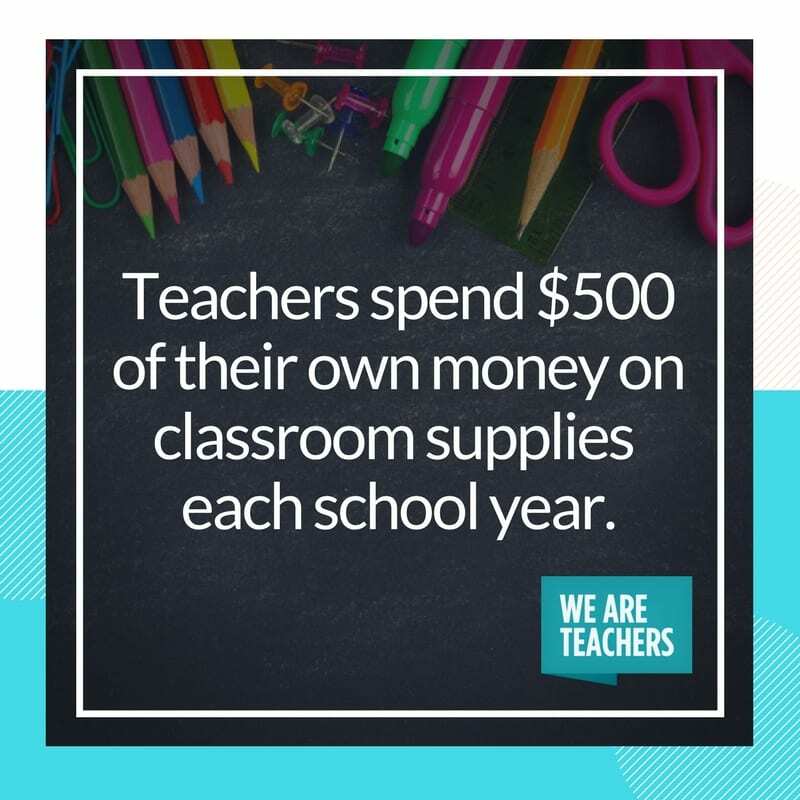 You spent an average of $500 of your own money on classroom supplies this year. You worked an average of 50 hours a week. 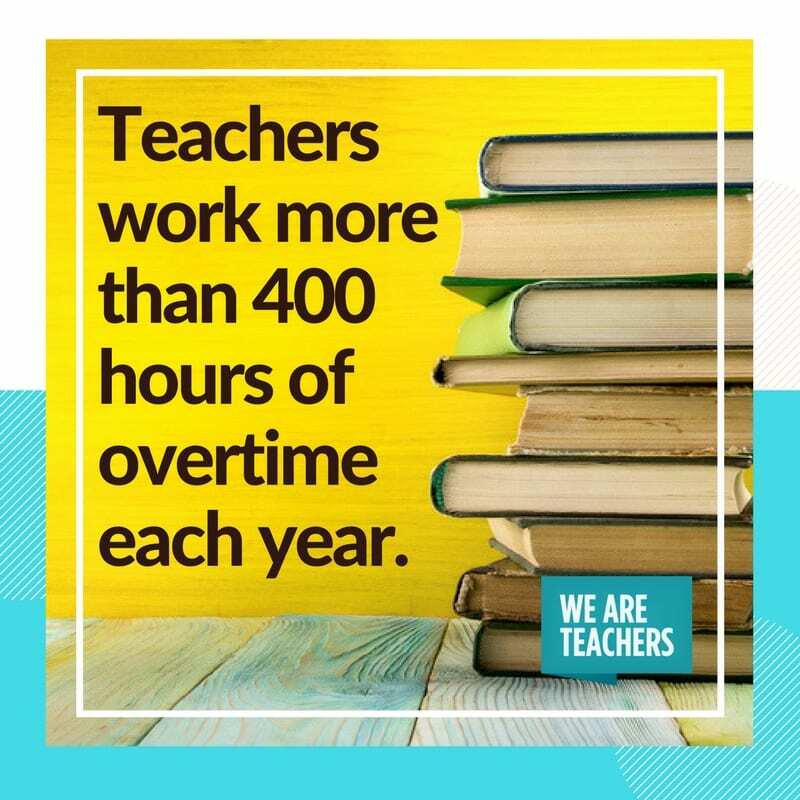 Teachers work more than 400 hours of overtime in a year—our school day never ends. Around 30 percent of you have jobs outside of being a teacher. 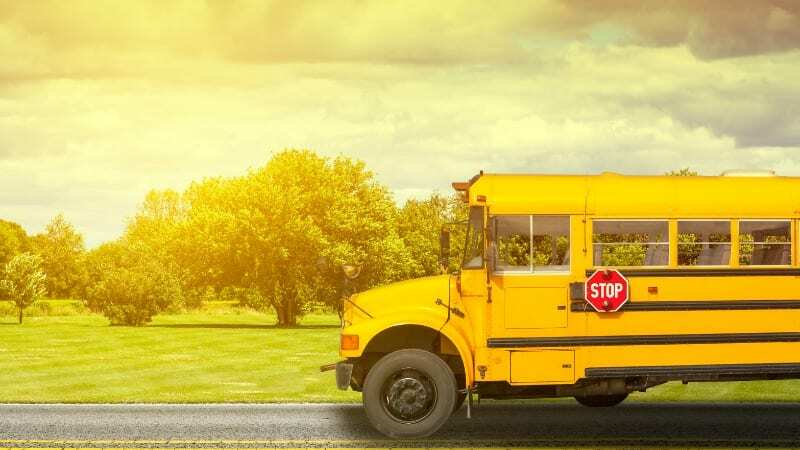 More than 65 percent of you paid for food or covered the costs of field trips for your students. 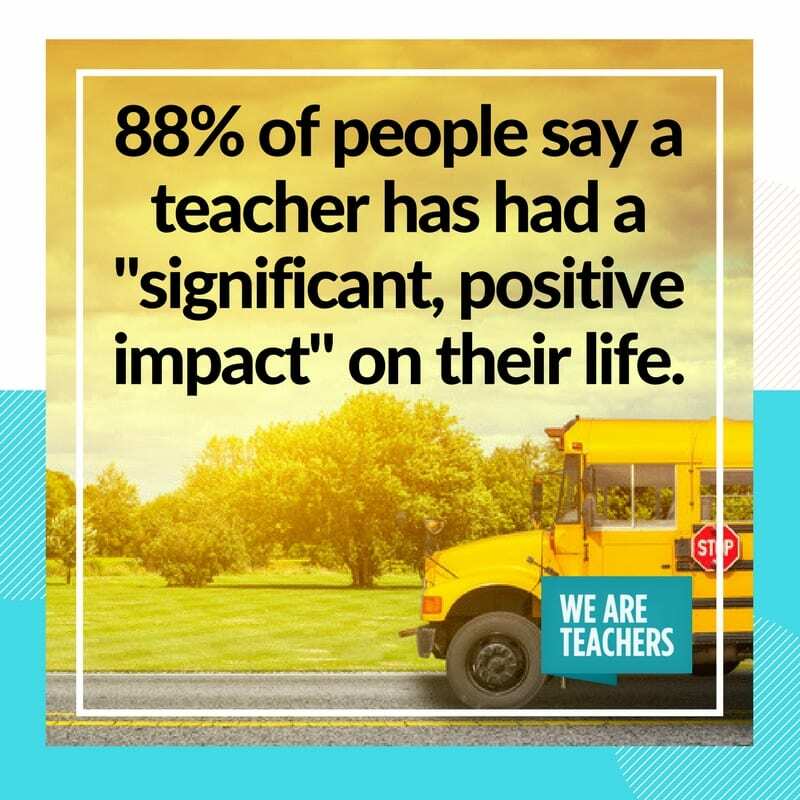 Your impact on lives is ongoing—roughly 88 percent of people say a teacher had a “significant, positive impact” on their lives. During the cold months, one out of three of you bought coats, mittens and/or other clothes to help keep your students warm. Around 3.5 million students will graduate U.S. high schools this year, and they’ve all had the influence of a great teacher like you. People believe in the work you do. 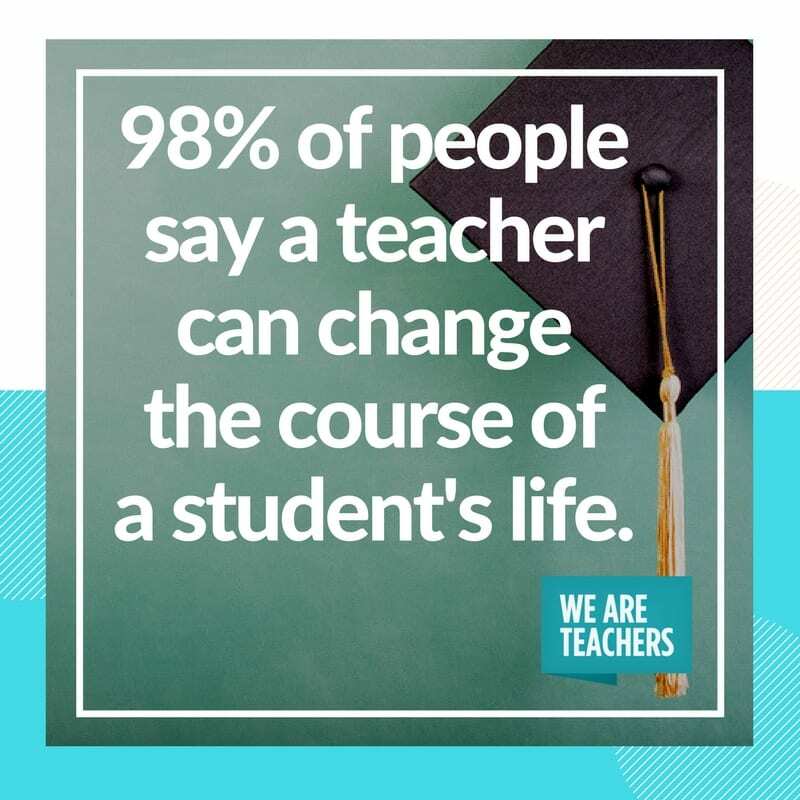 Around 98 percent of people say a teacher can change the course of a student’s life. 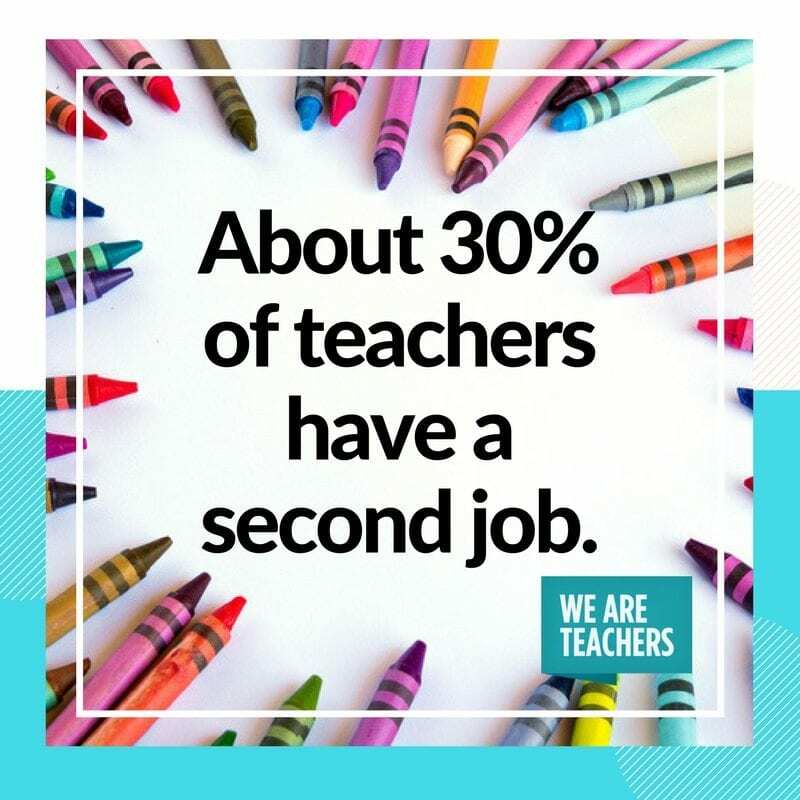 You are part of one of the largest professions in the country, with more than 3.1 million teachers across the United States. 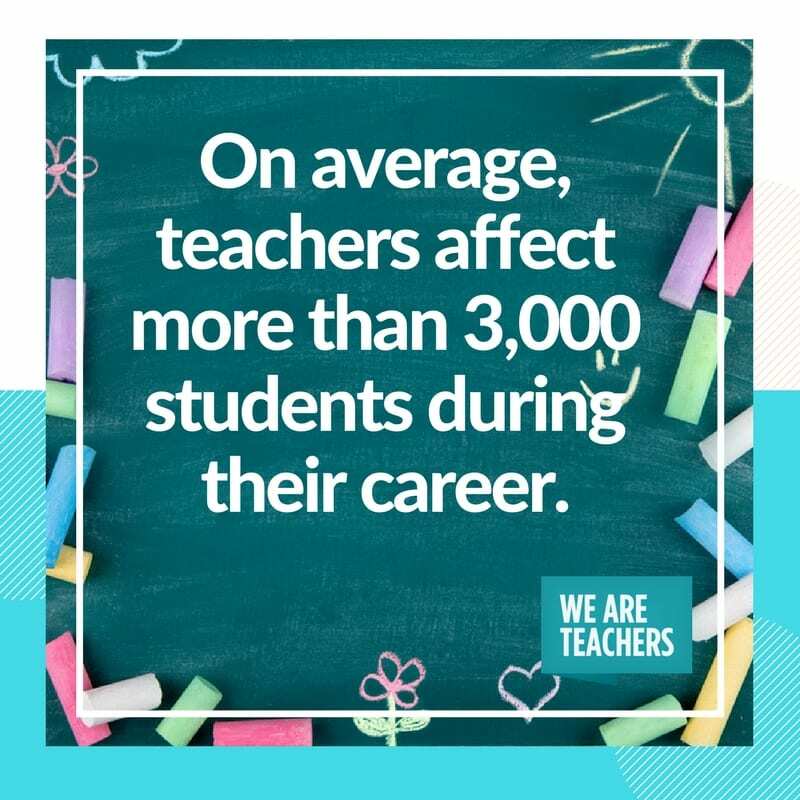 It can vary by grade level and number of years teaching, but the average teacher affects more than 3,000 students during their career. Take a look at this video to learn more about the impact of a teacher.